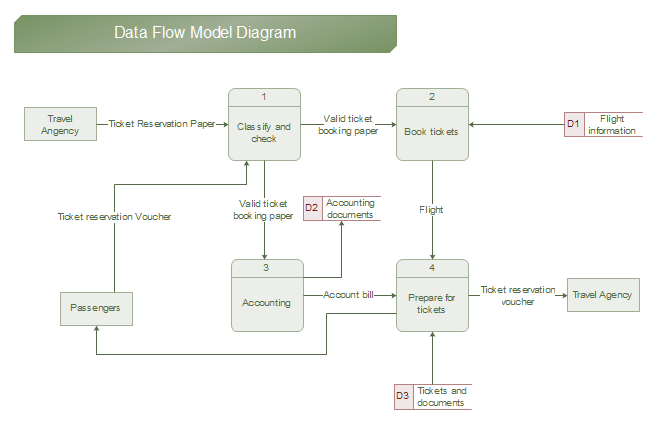 A complete data flow diagram drawing guide containing basic data flow knowledge and simple drawing steps. 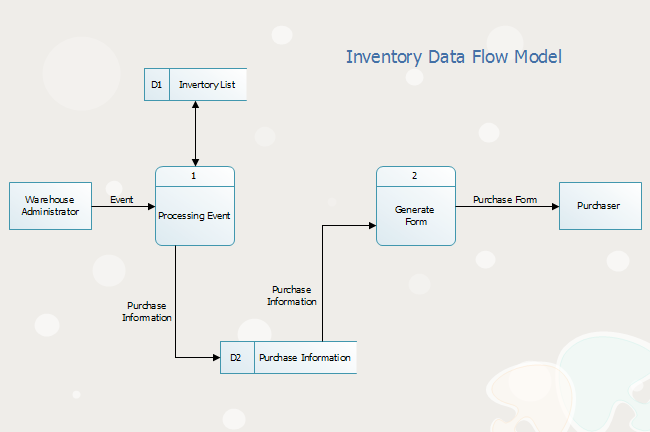 Help system designers to start quickly and produce quality data flow diagrams. A data flow diagram is a graphical tool that allows system analysts to depict the flow of data in an information system. It's a visual picture showing where data comes from and where it goes. 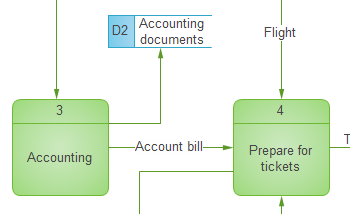 Who uses data flow diagrams? 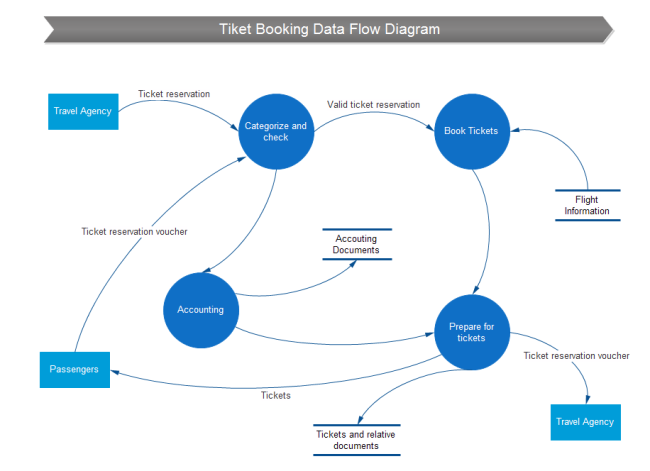 What does a Data Flow Diagram Look Like? Data flow diagram is made up of basic geometric shapes connected by arrows showing the flow direction. Process - a process or task performed by the system, such as create, modify, store or delete. Data Store - a place where data is kept. Can be a file or database. Entity - is the source or destination of the data. Entities are external to the system. Data Flow - is the flow of data. Completeness: It refers to the extent to which all necessary components of a data flow diagram have been included and fully described. Consistency: It refers to the extent to which information contained on one level of a set of nested data flow diagrams is also included on other levels. Edraw is an excellent data flow diagramming tool well received by many system designers. The reason why people love to use it is because it has quality built-in symbols and easy layout tools. With a simple interface everyone is familiar with, you can manage it at the first sight and create presentation quality data flow diagram in minutes. 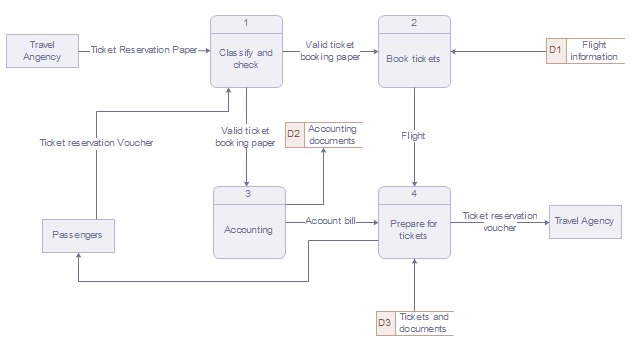 Open Edraw, go to Flowchart category and double click Data Flow Diagram to start a new drawing page, or go to Software category and double click Data Flow Model Diagram. From the data flow symbol library (which is automatically opened when a new drawing page starts), drag required symbols and drop onto the drawing page. Double click on the default text to replace with your own text. Use smart connectors to connect the shapes. Connectors will be glued with the shapes. Fill the shapes with your favourite colors, and choose a theme for your diagram. 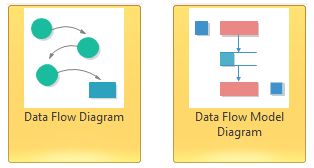 Below are samples showing complete data flow diagram designs. Some are created using the circle and curve line style. You can click the picture to view bigger image.